A mini-retirement provides a much deeper chance to arrange the pieces of your life than a short 5-7 day vacation. A mini-retirement, just like a vacation, can include sightseeing, cultural learning and new experiences. But, after a bit of time, you start settling down into a new life in your new location. You will begin to put together some type of routine based on your preferences. During my trip to Thailand, I spent the first week in vacation mode on the beautiful warm island of Phuket. Once my vacation was over, I needed to have a daily schedule. 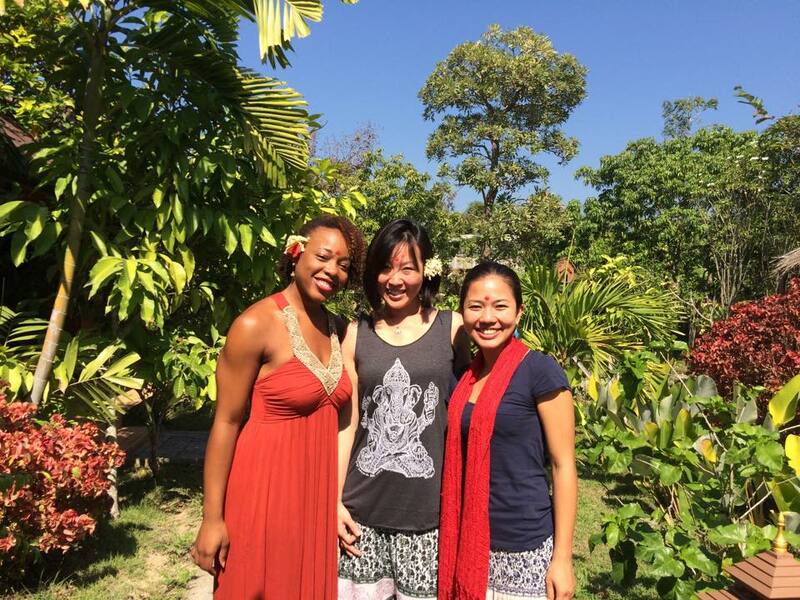 This included a yoga teacher training program at Wise Living Yoga. The program started with meditation at 6.30 a.m. and concluded around 7 p.m. every day. This program fulfilled my needs for learning and growing, and basic needs like food and shelter. But, I learned after the first couple of days of settling into my new life, that I was missing some of the essential components of my daily routine: my morning fitness activity and my creative time. Fortunately for me, another participant also needed these outlets. We set up a daily routine that required waking up at 4.45 a.m. every day and alternating teaching a fitness class from 5 a.m.-6 a.m. Monday-Saturday. We also walked to a local café every evening and spent 7 p.m.-9 p.m. in our creative space, reading books, iterating on new projects, indulging in personal reflection, and interacting with our loved ones. I must say, once this schedule was established, my needs for community, personal time and creative time were all satisfied. In effect, I was able to start over and create a new life for myself in Thailand by, both, seeking and fulfilling my needs. When you travel alone in a new country, you can guarantee that whatever choices you make, they are for the satisfaction of your personal needs for growth, love, pleasure or education. You have no excuses, no reason to compromise and no one to answer to. As such, you know that your activities and reflections are accurate extensions of your personality. 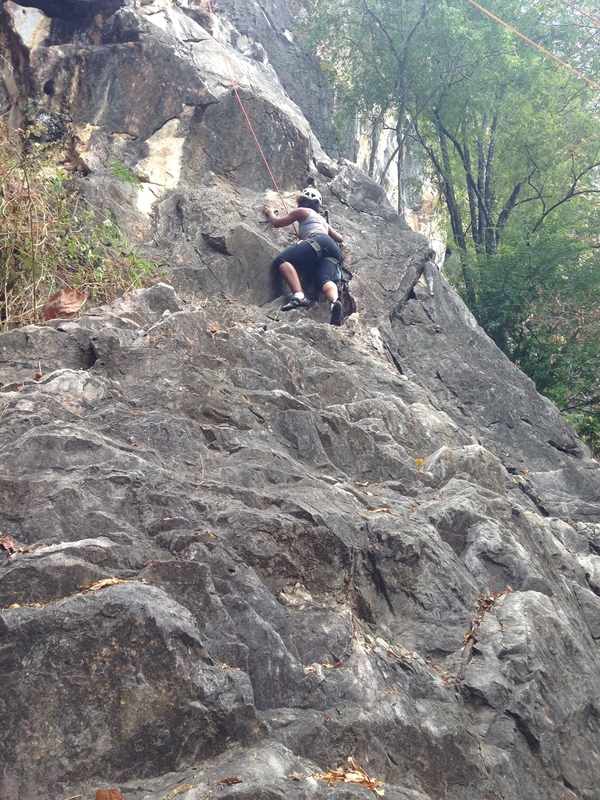 If you decide to do activities that push your concept of willpower and courage, you might decide to do something adventurous like rock climbing. Or you may decide to plot out an entirely new course of action for your life. Wherever the journey leads you, rest assured you are feeding your soul. In my case, the way I set up my life during my mini-retirement was along the lines of how I lived my life at home in the US. I start every morning with some kind of fitness activity. This is followed by the livelihood that I’ve created for myself - helping people accomplish their goals through smarter financial choices. I end the day with at least two hours of friends and family time. This time allows for my need to, both, give support to and receive support from loved ones. I know that I can return to my life without making any drastic changes. I can let go of the question of whether I made the right choice to quit my job four years ago to start my own company. Like many people in their mid 30s, I am already on my second career. When I was in college, I was in a hurry to start working. When I started my career, I was in a rush to become a manager, director or anyone with power and influence. Once I received power and influence, all I wanted was free time. Often, once we jump from one goal to the next, we forget that happiness is not in the destination but in the journey. We hear this all the time, but we still forget over and over again. In school, all I ever wanted to be was a doctor. I figured out early that I had to go the math route, as my logical skills are far superior to my memorization skills. After I completed my Masters degree, I started my first real job at Johns Hopkins Applied Physics Laboratory and happily commenced a life of finally being an adult. Within one week of starting the job, I purchased my first house and started my doctoral program at George Washington University. During the subsequent seven years in Washington, DC I completed by doctorate, bought and sold real estate and received several promotions including being offered a role of director of ABSG Consulting. My only complaint was my unhappiness. I decided at the age of 30 that I needed to reboot my life and start over in another city. As a result, I focused on trying to determine a new livelihood. I always enjoyed helping others invest and make decisions with their money, and after volunteering with the VITA program, I determined that this was my duty. I started Novellus Financial and proceeded to start to learn an entirely new skill set and way to navigate through life. I often needed to be reminded that it took me 11 years total in the university system to reach my goals, so why did I think learning how to be a successful entrepreneur would only take a couple of months. It’s funny to see the role of ego in retrospect. Regardless, I continue to be on this path and am so grateful for all that I have learned on the path of entrepreneurship. 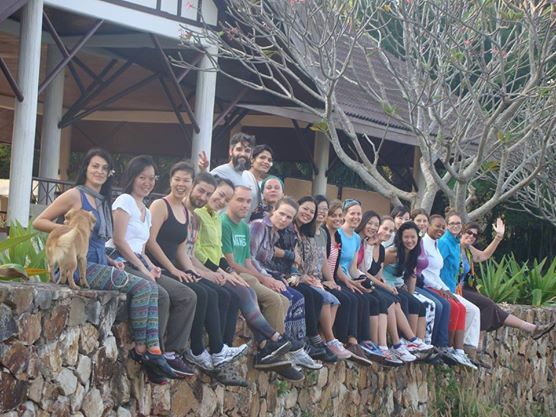 Of the 20 students that registered for the yoga program in Thailand, ranging in age from 25 to 42, ten quit or planned to quit their jobs. Their reasons included stress, dissatisfaction, and misalignment with purpose. It’s funny that not a single person mentioned that they wanted to quit because they weren’t making enough money. Though there is ongoing pressure to make more money, most people know that the amount of money you have has very little to do with lasting happiness. Regardless, they decided to take a mini-retirement of between a month and a year to figure out the next chapter of their journey. While I do not know if they figured out a new course of life, I do know that they are all courageous enough to take the time to figure it out. We all have a vision for our lives. We make choices that define us and continue each day in accordance with those choices. At times, we feel that life is moving so fast that we do have to stop, breathe and make sure that those choices are still relevant. A mini-retirement allows you to take a short escape from your daily routine to examine and rebuild your life. I planned this trip to Thailand prior to reading the 4-Hour Work Week by Timothy Ferris. I felt that the suggestion to read the book two weeks prior to my departure was serendipitous. The book is exactly in alignment with my current frame of mind and life perspective. In fact, experiencing my mini-retirement in conjunction with reading the book afforded me the opportunity to gain more out of the program. Our lives are a sequence of moments, hours, months and years. Each one of us owes it to ourselves to make sure that we are taking care of ourselves mentally, physically, spiritually and with the right livelihood. Whether you are at peace or not, a mini-retirement will give you the perspective you need to continue your journey.